Enterprise Rent-A-Car is an American car rental company headquartered in Clayton, Missouri, United States in Greater St. Louis. In addition to car rental, Enterprise also oversees commercial fleet management, used car sales, and commercial truck rental operations. 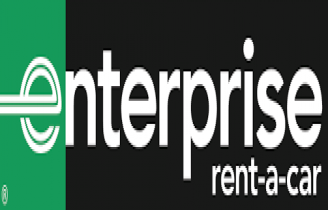 Enterprise Rent-A-Car was established in St. Louis, Missouri in 1957 by Jack C. Taylor. Originally known as "Executive Leasing Company," in 1969, Taylor renamed the company "Enterprise" after the aircraft carrier USS Enterprise, on which he served during World War II. In 2009, Enterprise became a subsidiary of Enterprise Holdings, Inc., following the company's 2007 acquisition of Vanguard Automotive Group, the parent company of National Car Rental and Alamo Rent a Car. The resulting company was 21st on the 2008 Forbes list of "Largest Private Companies in America.